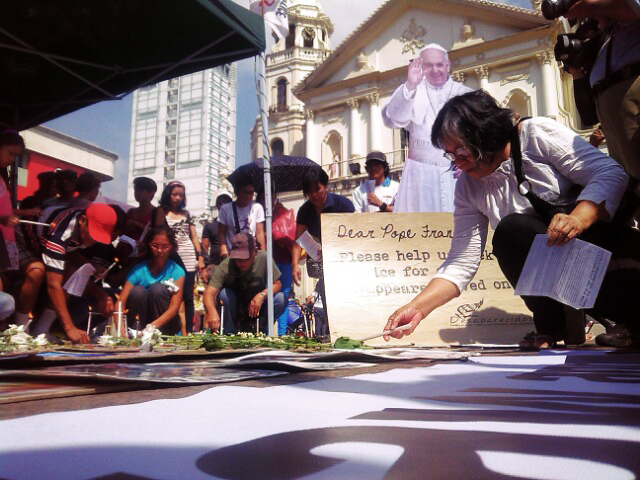 MANILA – “Your Holiness, please intercede for us in seeking justice for our disappeared loved ones,” wrote families of desaparecidos to Pope Francis as they gathered at Plaza Miranda on All Souls Day. 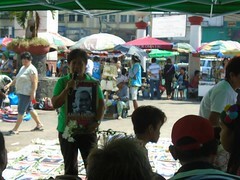 “It has been the practice of families and relatives of victims of enforced and involuntary disappearances to gather every November 2. 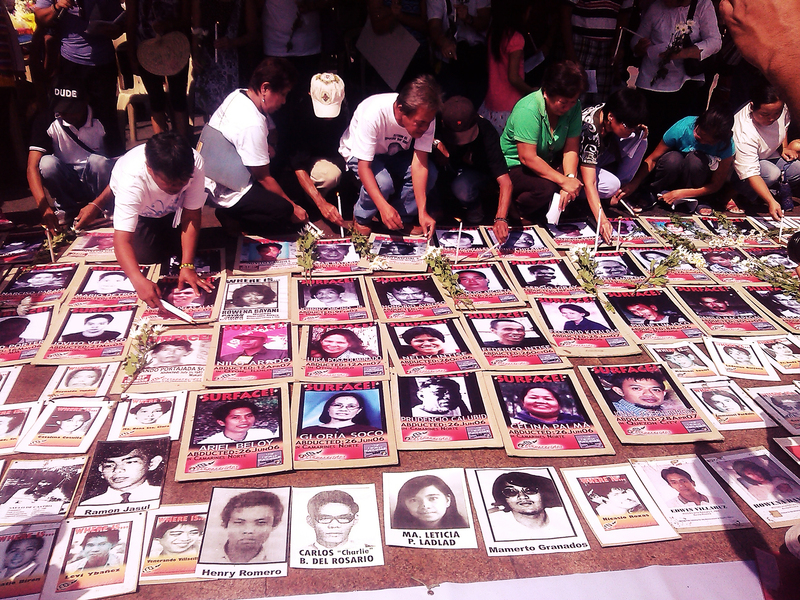 Beyond remembering, we come together as a reminder that our loved ones have yet to be surfaced and the state’s policy of enforced disappearances be stopped,” said Desaparecidos secretary general Aya Santos. 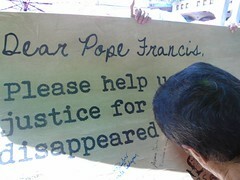 It has become more significant as families of desaparecidos gathered to join the nation in awaiting the visit of Pope Francis to the Philippines in January 2015. 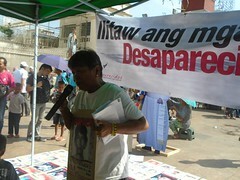 Santos said there have been 21 victims of abduction under Pres. Aquino and has since added up to the number of desaparecidos since the Marcos dictatorship.